This post is brought to you in partnership with Broadway in Portland. I received complimentary tickets to the show. Opinions are my own. Have you ever had an experience that you can’t quite believe was real? 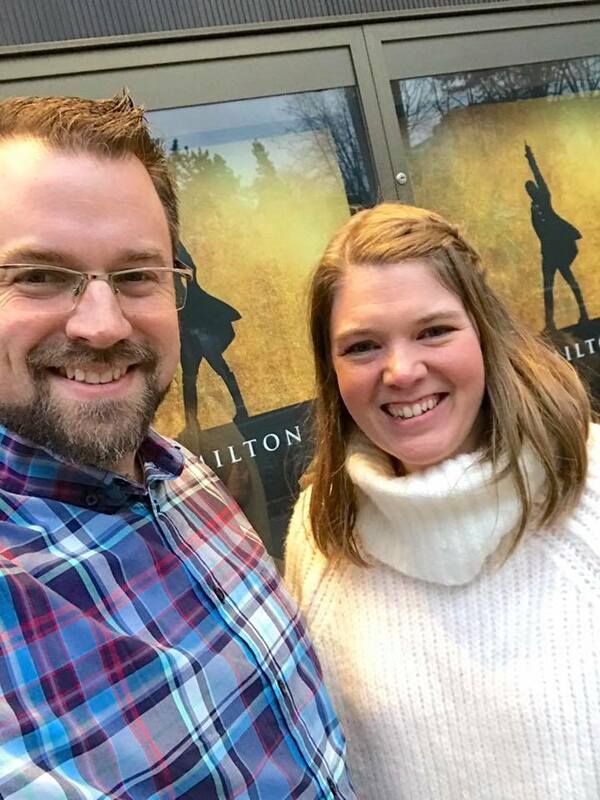 I am still pinching myself that my husband and I were lucky enough to attend Hamilton during its run in Portland, Oregon. In the car on the way to the Keller Auditorium, we were talking about the show, and wondering if it would live up to its reputation. After seeing this show, all I can say is #WorthTheHype! (I may or may not be a little worried that Hamilton has ruined me for future theater experiences!) It was THAT good. Never has American history or musical theater been more accessible. Hamilton truly is revolutionary. Lin-Manuel Miranda has created a masterful production that blends history with not only the arts – but with passion. Feeling the fire and fight of our founding fathers is both humbling and extraordinary. 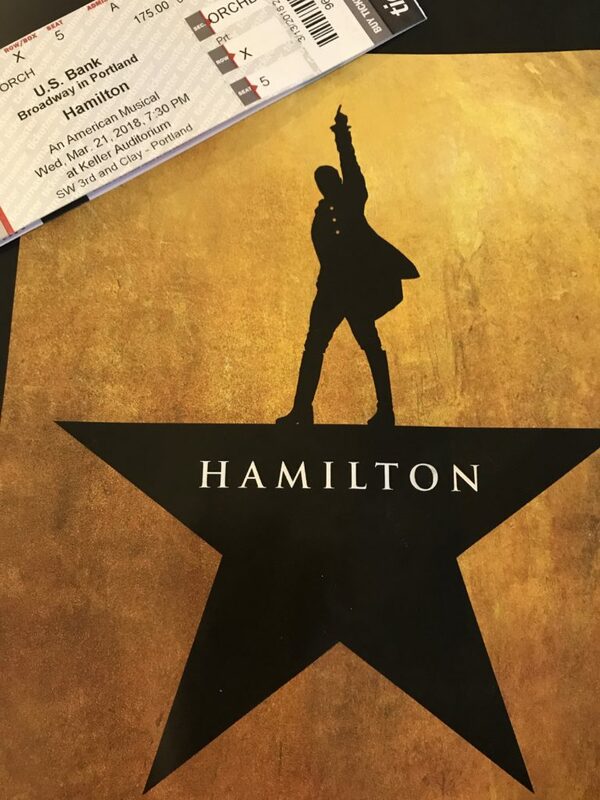 Hamilton yes – tells the story behind those who worked to create our country from the ground up – but it also speaks to the audience-goer in a very real and personal way. It’s hard to experience something like Hamilton – and NOT feel inspired to fight for change, to take a stand, to fight for your beliefs, to RISE UP! 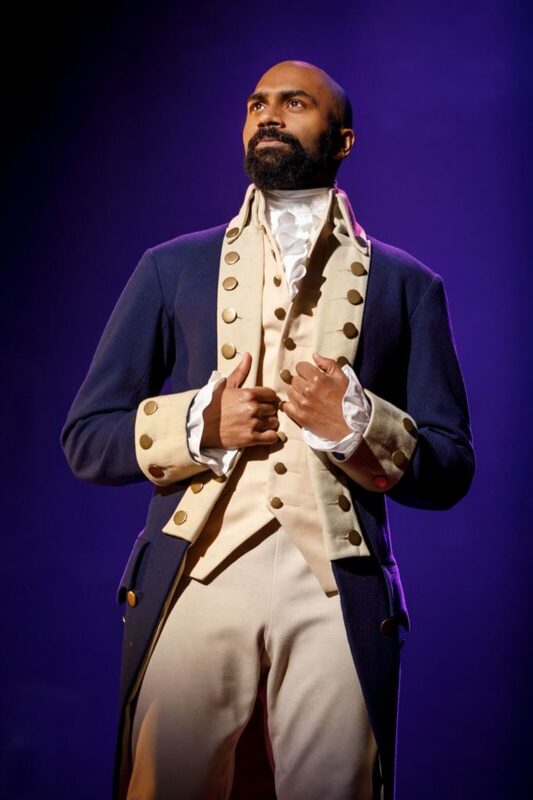 During a time in our country when political battles are the norm – Hamilton also reminds us that everyone is just fighting for what they believe in. Like the founding fathers, we won’t always see eye to eye – and we probably won’t always be civil- but the world is wide enough for us all. 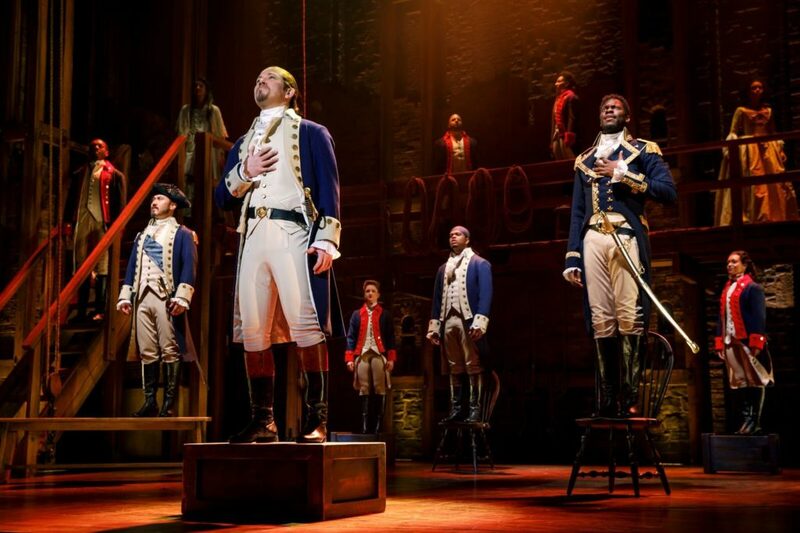 Hamilton will be in Portland at the Keller Auditorium through April 8th. You *may be able to get tickets to Hamilton – and I encourage you to try! Don’t throw away your shot!!! Tickets for the Portland engagement of Hamilton are available periodically. Check back regularly as additional tickets may become available. You can check HERE to see if there are any seats/tickets available. There is a #HAM4HAM lottery for $10 Hamilton tickets!!! 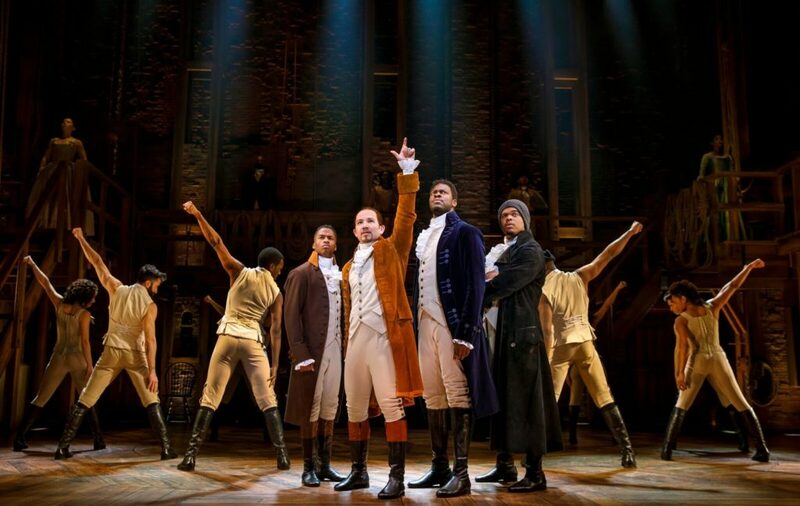 Producer Jeffrey Seller is pleased to announce a digital lottery for HAMILTON tickets will begin in conjunction with the show’s first performance (March 20) in Portland at Keller Auditorium. Forty (40) orchestra tickets will be sold for every performance for $10 each. The digital lottery will open at 11:00 AM PT on Sunday, March 18 for tickets to the Tuesday, March 20 performance. Subsequent digital lotteries will begin two days prior to each performance. The lottery will open at 11:00 AM PT two days prior to the performance date and will close for entry at 9:00 AM PT the day prior to the performance. Winner and non-winner notifications will be sent at approximately 11:00 AM PT the day prior to the performance via email and SMS (if mobile number is provided). Tickets must be purchased online with a credit card by 4:00 PM PT the day prior to the performance using the purchase link and code in a customized notification email. Tickets not claimed by 4:00 PM PT the day prior to the performance are forfeited.